The crunch of leaves underfoot may have you pining for juice boxes, field trips, and sharpened pencils, but you don't have to matriculate to show your school spirit. We hit the books to uncover some of the season's hottest trends—brightly colored jeans, buttoned-up blouses, studious blazers, and wing-tip brogues, to name a few—that will gain you instant entree to the cool kids' table. Plus, for extra credit, they're entirely earth-friendly. Above, an organic-cotton plaid skirt by John Patrick Organic, on final sale at Gilt for $49 (originally $285). Wish you were headed back to school? Look the part with our 14 green academia-inspired looks and score an A+ in Sustainable Fashion 101. 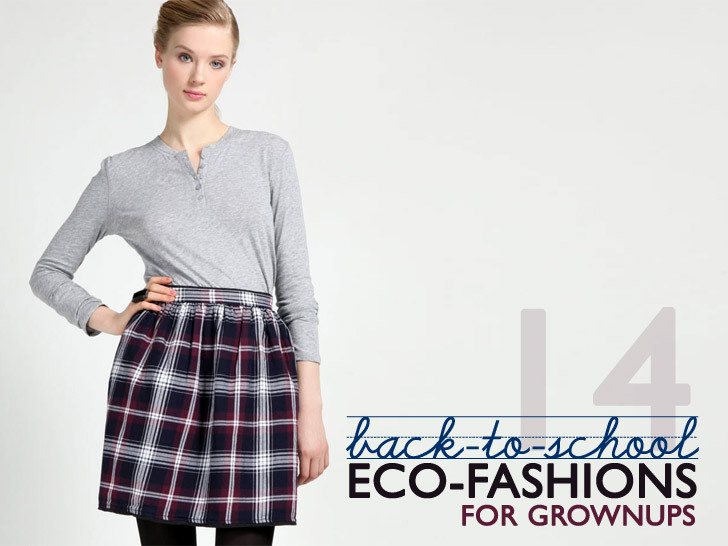 For more eco-friendly takes on classroom chic, revisit our 2010 back-to-school guide. Made of Tencel, a cellulosic alternative to cotton, Covet’s military-inspired blouse combines buttoned-up propriety with a touch of the iconoclast. Tennis, anyone? Work that on-the-court swagger with a classic V-neck, cabled pullover. Try People Tree’s fair-trade, hand-knit Birkbeck jumper on for size or pick from the vintage options that abound online. If traditional wool blazers leave you underwhelmed, this cropped vintage number from the 1980s is an A-grade alternative. It’s also cruelty-free, which means you won’t draw the ire of the PETA club when you stroll past the lockers. Place your nondescript button-downs on probation. People Tree’s jazzed-up take, made from 100 percent organic cotton, features a Peter Pan collar, puffed sleeves, and a ruffled peplum to light up the dreariest detention halls. Cardigans may be standard boarding-school issue, but we’d much rather trade scratchy acrylic for sumptuous 100 percent cashmere. Chinti and Parker’s curve-skimming, boyfriend-style version has a pair of contrast pockets for stashing mash notes. Too old for crayons? Never! 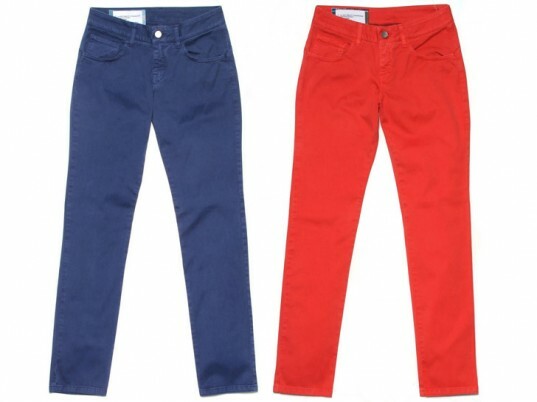 Show off your smarts with a slim, tapered jean from IOU Project, which uses smartphone technology to connect you to everyone involved in its production. The Crayola-esque hues are a bonus. 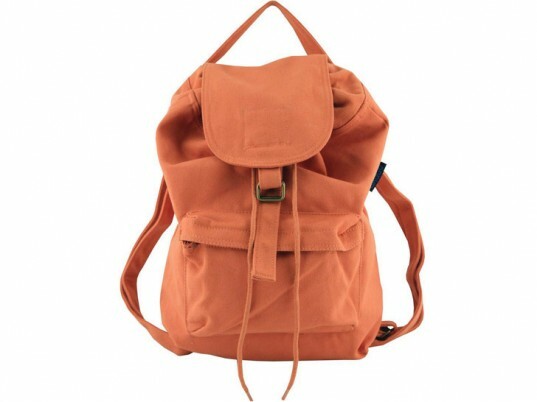 Derived from 100 percent recycled cotton, BAGGU’s backpack makes the grade with its interior drawstring closure, snap-and-buckle flap, handy front pocket, and burst of fall-ready coral. Do your best impression of a ’50s schoolgirl with a traditional felt hat, complete with an elastic strap around the chin. Go Parisian with a Madeline-esque vintage topper ($15) or be poised and properly British with a handmade bowler (£34.99). If authenticity is your bag, you can’t go wrong with the Cambridge Satchel Company, which hand-tools its vintage reproductions in the U.K. with quality English leather. Cowhide verboten? You can also opt for a smaller, cruelty-free version made from polyurethane. 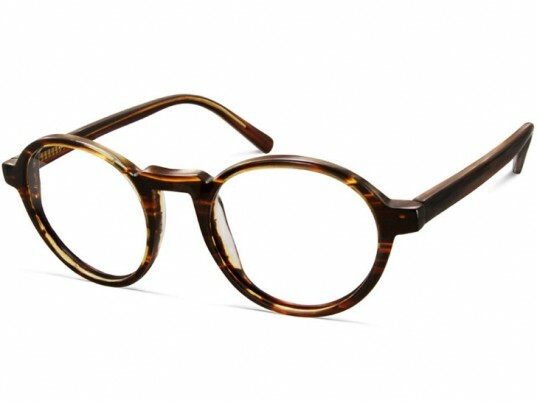 No geek-chic look is complete without a pair of tasteful glasses. Warby Parker goes above and beyond the call of duty with its “Buy a Pair, Give a Pair” program, which delivers the gift of sight to someone in need with every purchase. 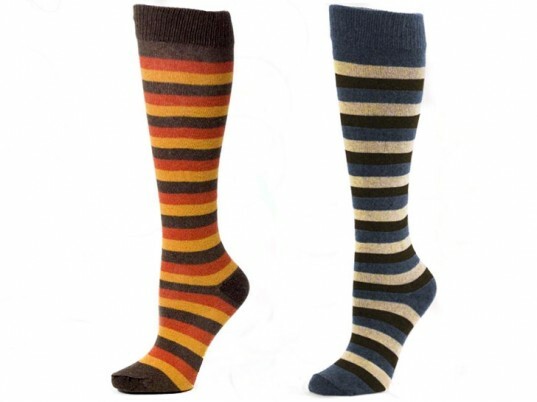 Show your true school colors with a pair of striped knee-highs from RocknSocks. Made in the United States from regenerated cotton, each sock comes with a ribbed top so it always knows its place. 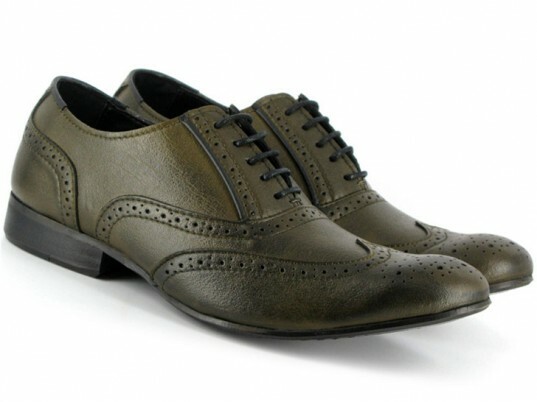 Walk a mile or more in a pair of “pre-antiqued” wing-tip oxfords from Vegetarian Shoes. With their stitched-on soles and nailed-on heels, these cruelty-free brogues were made for traipsing all over campus. Made of Tencel, a cellulosic alternative to cotton, Covet's military-inspired blouse combines buttoned-up propriety with a touch of the iconoclast. If traditional wool blazers leave you underwhelmed, this cropped vintage number from the 1980s is an A-grade alternative. It's also cruelty-free, which means you won't draw the ire of the PETA club when you stroll past the lockers. Place your nondescript button-downs on probation. People Tree's jazzed-up take, made from 100 percent organic cotton, features a Peter Pan collar, puffed sleeves, and a ruffled peplum to light up the dreariest detention halls. Tennis, anyone? Work that on-the-court swagger with a classic V-neck, cabled pullover. 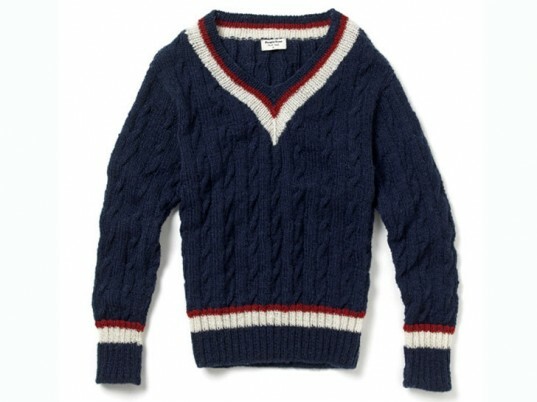 Try People Tree's fair-trade, hand-knit Birkbeck jumper on for size or pick from the vintage options that abound online. Derived from 100 percent recycled cotton, BAGGU's backpack makes the grade with its interior drawstring closure, snap-and-buckle flap, handy front pocket, and burst of fall-ready coral. 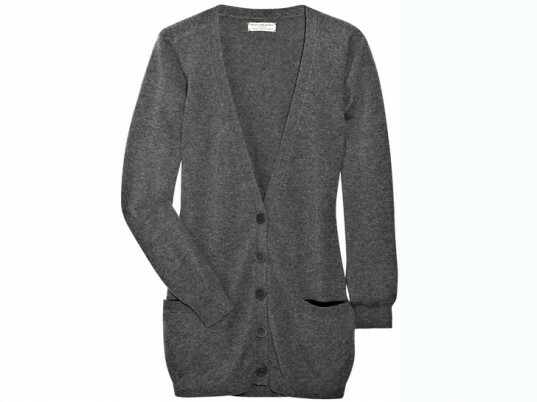 Cardigans may be standard boarding-school issue, but we'd much rather trade scratchy acrylic for sumptuous 100 percent cashmere. Chinti and Parker's curve-skimming, boyfriend-style version has a pair of contrast pockets for stashing mash notes. No geek-chic look is complete without a pair of tasteful glasses. Warby Parker goes above and beyond the call of duty with its "Buy a Pair, Give a Pair" program, which delivers the gift of sight to someone in need with every purchase. Do your best impression of a '50s schoolgirl with a traditional felt hat, complete with an elastic strap around the chin. 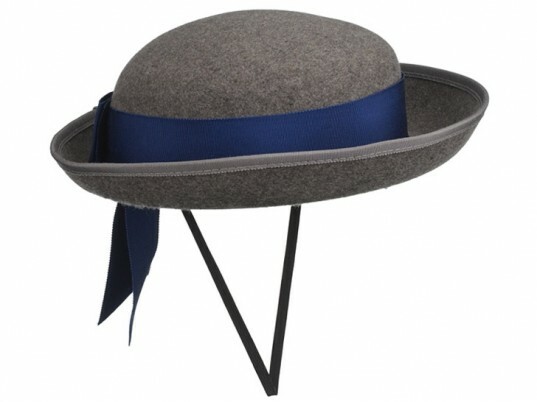 Go Parisian with a Madeline-esque vintage topper ($15) or be poised and properly British with a handmade bowler (£34.99). 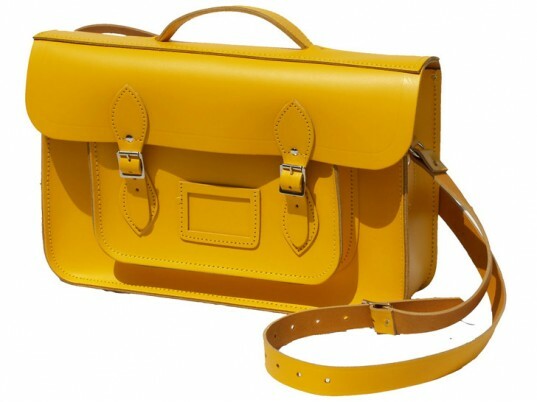 If authenticity is your bag, you can't go wrong with the Cambridge Satchel Company, which hand-tools its vintage reproductions in the U.K. with quality English leather. Cowhide verboten? You can also opt for a smaller, cruelty-free version made from polyurethane. Walk a mile or more in a pair of "pre-antiqued" wing-tip oxfords from Vegetarian Shoes. With their stitched-on soles and nailed-on heels, these cruelty-free brogues were made for traipsing all over campus.